Looks like there's yet another firm poised on entering the professional gaming peripheral market. 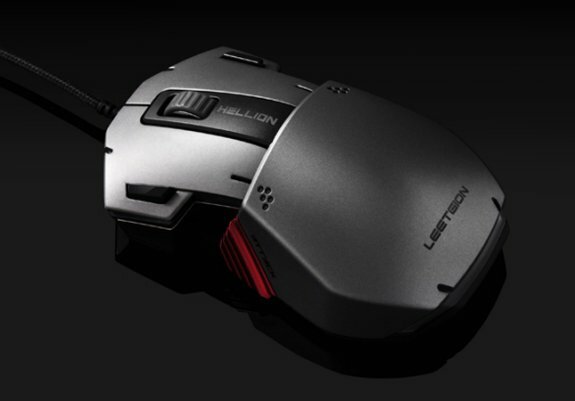 This time it's Thermalright, the famed heatsink maker revealed a new brand named Leetgion and introduced Hellion, which it claims is world's first mechanical gaming mouse. 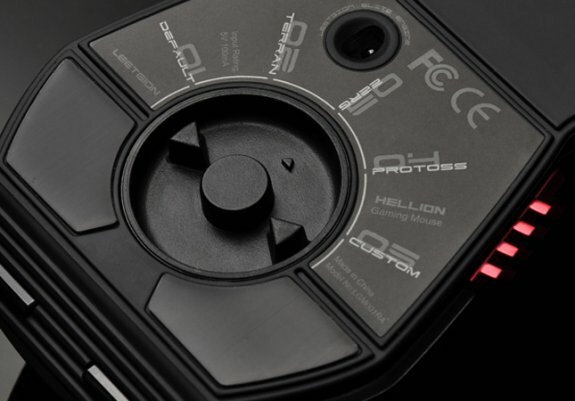 The switches are the mechanical part of this mouse, the Hellion uses a combination of Cherry MX Blue and OMRON Japan micro-switches. The main buttons apart from center are backed by OMRON switches, while a side "attack" macro button is backed by Cherry MX Blue. Under the hood is an AVAGO 9500 laser sensor with a tracking resolution as high as 5,000 DPI. The non-primary buttons can be assigned macro functions, and macro profiles can be switched on the fly. Leetgion comes with three macro profiles optimized for Starcraft player classes. Measuring 123 x 73 x 42 mm (LxWxH), the Hellion has a fixed weight of 105 g. It uses a wired USB connection to the host, the cable is sleeved. The mouse also features a true-color LED illumination, a color can be chosen form a pallet of 16.7 million colors in the software.